It is already acclaimed as the first preschool in the Midwest, providing a blended curriculum to children who are both sighted and visually impaired. 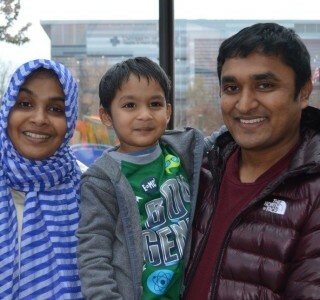 Now The Lighthouse’s Judy and Ray McCaskey Preschool can lay claim to another first, enrolling its first international student, Sanim Rahman of Bangladesh. Sanim’s parents, Mizanur and Suraiya, are students too. 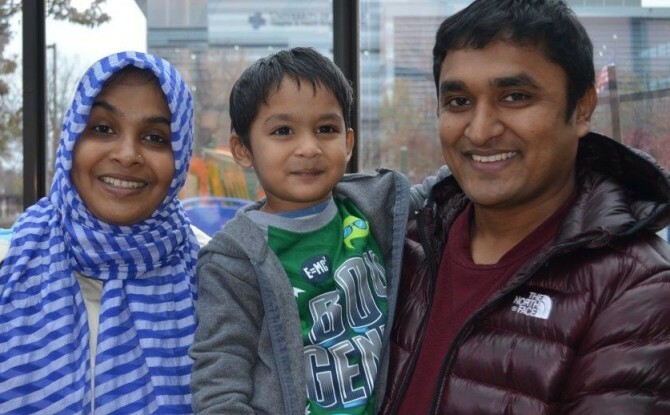 While their son attends our preschool, his parents are pursuing doctoral degrees nearby at UIC. Both are staunch social activists who are dedicated to making their native country a better place for underserved and often marginalized communities, including people with disabilities. Preschool teacher Abby Cooney observed that he is very bright, likable and popular with the other students. “Sanim fits right in and is a definite asset to our program,” she said. Mizanur noted the overall warm and friendly atmosphere of The Lighthouse and expressed admiration for the respectful way it treats individuals who are disabled. “I wish my country accorded those who are disabled with that same level of respect and dignity,” he said, noting that Bangladesh is poor and lacks the resources to ensure equality for all its citizens, including residents who are blind or disabled. Among those citizens who are visually impaired is Suraiya, 27, who is the first member of her family born with a visual impairment. “Though it has been very hard for myself and many others due to the lack of services, we are optimistic that things will improve as more assistive technology devices become available and as doors to opportunity open wider,” she pointed out. To help make this happen, Mizanur and Suraiya are planning to apply what they are learning about social service, health care and other areas in their doctoral program to the work being done by a rehabilitation facility in Bangladesh in which they are both affiliated. “We are truly blessed to have a chance to study in the United States and at the same time, enroll our son in such a quality preschool,” Mizanur said.